Slander and libel can come from unexpected places. With the invention of the internet, online defamation has arisen. Learn how to respond if you’re targeted. Imagine waking up to the sound of your phone uncontrollably buzzing, only to learn that you have several new emails, posts on your Facebook page, and comments on your website. Your worst nightmare has come true–a malicious user has posted a false review of your company that tarnishes your reputation. Online defamation has been rearing its ugly head more often with the rise of social media. But what exactly is online defamation, and how can companies combat untruthful and damaging statements posted online? 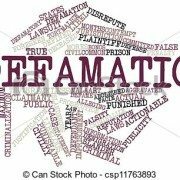 Defamation is legally defined as a false statement that serves to damage the reputation of a business or individual. Slander and libel are under the umbrella of defamation. In order to have a case for defamation, you have to prove that the statement is not true and that it specifically concerns yourself or your business. It also has to be published by a third party–like a website or blog. You’ll have to show evidence that your company experienced significant damage because of the statement. This is one of the hardest things to prove in court. Unfortunately, you can’t take legal action against someone who is actually telling the truth. If someone digs up your dark past and posts it online, you can’t sue them. The truth hurts. Slander and libel are subcategories of defamation. They both concern statements that harm you or your business’ reputation. Slander is the act of verbally speaking an untrue statement to another party. It must tarnish another person’s reputation. Online slander can usually be found in a video, audio file, or podcast. On the other hand, libel is the act of writing a damaging and untrue statement to another party. Websites, blogs, comment sections, forums, and review sections are all places where libel can occur online. You’re able to file a lawsuit for defamation of character, but your success in trial depends on how much havoc the false statement has wreaked. The First Amendment of the Constitution states that Congress is not allowed to make a law “abridging the freedom of speech, or of the press.” This makes it more difficult to make a case for defamation. The Communications Decency Act is another barrier that could bar you from winning a defamation case. This act prohibits you from suing an internet service provider (ISP) for defamation. ISPs are meant to act like distributors, not perpetrators. Maybe someone left your company a defaming remark in a review. In this case, you might be able to simply ignore it. Readers are smart enough to weigh the good against the bad. They will usually just shrug off a blatantly exaggerated statement. The bottom line is that if there are numerous positive reviews, then these will outweigh the negative review. However, ignoring this type of statement is not always the best choice. Some false statements might put your company’s integrity at risk. When someone publicly accuses your company of a crime, then you’ll need to do more than just ignore the comment. There are numerous places where you can report the person’s false statement and potentially have it removed. First, try reporting them to their registrar. Certain domain name registries have rules that prohibit websites from making a profit by posting defaming remarks. You can also try to report them to their hosting company. You might be in luck if their website doesn’t comply with the host provider’s terms and conditions. If the comment was posted on social media websites like Facebook, Twitter, or Instagram, you can report the user. However, social media websites don’t really care about defamation–they care about trademark use. The user making negative comments might be using your trademarked name as the name of their profile, which means that you might be able to take control of their account. Reporting the user to Google is another option if they are violating Google’s SEO rules. Websites that misuse Google’s Adsense ads, or use “black hat” SEO methods can get banned and have their ad profit taken away. You can go straight to your service provider as well. If the defaming statement defies any copyright or trademark laws, then you’ll have a better chance of getting the statement removed. Because of the Communication Decency Act discussed earlier, it’s not guaranteed that the statement will be deleted. The only downside to removing the statement is that the user may decide to repost the same statement on a different website. If you can’t remove an incriminating statement, then you’ll have to resort to making a rebuttal. Your rebuttal should be brief and concise. Avoid bickering with other users, as this will tarnish your reputation even more. Sometimes, rebuttals can actually make the situation worse. It can make it seem like there is some credibility to the statement, which can trigger more criticism and attention directed towards your company. You have to weigh the pros on cons between risks that are associated with rebutting, compared with doing nothing at all. Lawyers that specialize in defamation will be able to determine your next move. If the user’s statement is false and there’s clear evidence of damage done to your reputation, you’ll have a better chance of making a case. Make sure to keep records of all the defaming statements made towards your business. 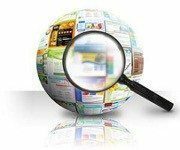 Take screenshots of the posts, comments, search engine results, or other incriminating pages and print them out. You should also hold onto any evidence that indicates the user’s identity. Experiencing online defamation can be frustrating–complex laws and policies make things confusing for busy companies. Our lawyers at Revision Legal specialize in representing tech companies. 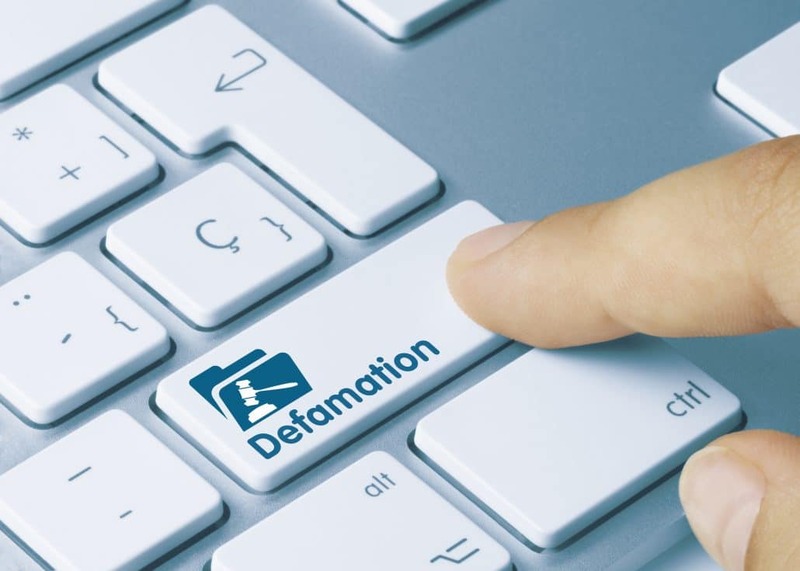 We can assist your business as it goes through the process of combating defamation. Contact us to see how we can help. 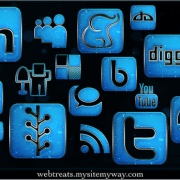 Internet Defamation: What is Defamation?